I’m guest posting today (thanks Amanda!) 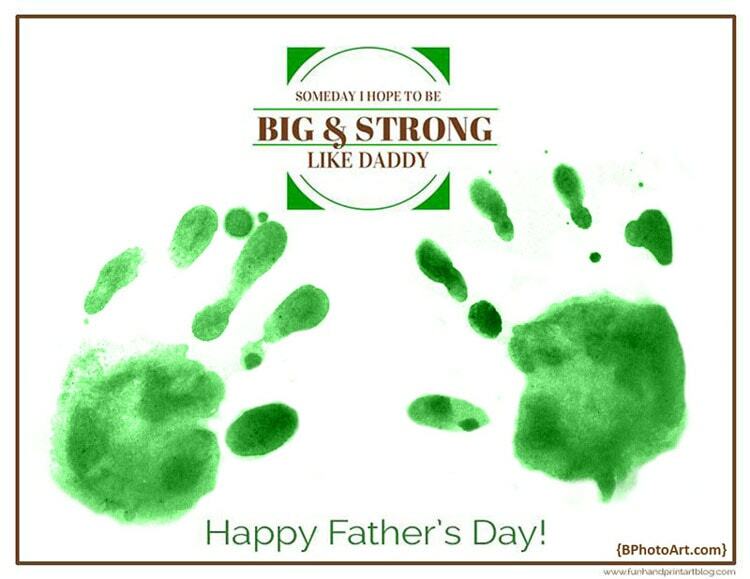 about a fun Father’s Day handprint craft that was designed for my toddler son! As an artist, photographer, and mother, I know all too well the importance of documenting moments and preserving memories… memories like adorable little toddler handprints! 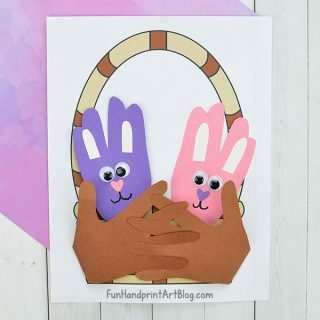 I love how this Father’s Day handprint craft turned out, and I think my husband will too when he gets his printed version for Father’s Day. My son is always talking about how he can do certain things “when I get big and strong like Daddy” — so that was the inspiration for the free printable Amanda put together. My toddler had a blast making a gift for his Daddy. Well, maybe he wasn’t thrilled about getting messy, but aside from that, he had a great time. To make life a little easier for my anti-mess child, we actually make the handprints using watercolor paint. You can see some snapshots of his Father’s Day craft activity time, but here’s a step-by-step of what we did. I mixed up some black watercolor paint and water, figuring it was the most visible paint color, and asked my toddler to get his hands dirty. He reluctantly obliged (with the promise of getting to clean up his hands right away). Figuring I had only one shot for each hand, we made the handprints on a blank piece of paper. I then scanned them in, tinted them green on my computer, and added them to the printable page! Final step? Printing off the printable and finding the perfect frame before Father’s Day! My son really enjoyed the end result of this project and was admiring his Father’s Day handprint craft. Hopefully we’ll be able to keep it a secret until Father’s Day… but even if it gets given early, I know this will be a treasured gift, perhaps for Daddy’s office! This printable template is for personal use only. Commercial use, hosting the file somewhere other than this blog, or altering it’s contents is strictly prohibited. When sharing this craft, please link to this post. Linking directly to the PDF is not allowed. You may make multiple copies for use in your classroom. Thank you! As I mentioned earlier, I’d love for you to hop over to my blog and get some ideas for artistic fun with your kids, like planning an outdoor photo scavenger hunt for kids, or get tips on displaying your child’s photos and artwork around your home. A lifelong bookworm and creative soul, Betsy lives in Michigan with her husband, (soon-to-be-two) boys, and two cats. You can read more of her thoughts on life and creative musings at Betsy's Photography. There, Betsy blogs about a hodgepodge of topics including fine art and portrait photography, parenting, capturing memories, and finding contentment in the journey of life. Love how it turned out! Thanks again Betsy 🙂 I never thought to scan the handprints in and then print the project with the handprints added to it – neat idea! I love the scanning idea too! What a proud daddy he’ll be to hang this one up! This looks like a great idea for fathers day! 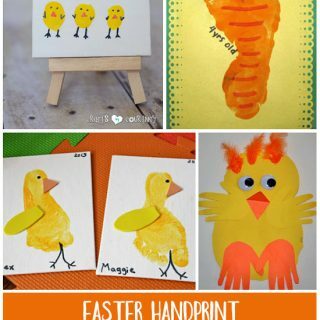 Always love the handprint ideas. I wish I had done more of these when my son was little. So cute. Thanks for the fun hands-on Father’s Day craft idea. P.S. Thank you for stopping by the Thoughtful Spot Weekly Blog Hop this week. We hope to see you drop by our neck of the woods next week!